Below is a list of the tiaras worn by the women of the royal family of Thailand; it includes only the tiaras currently worn by the family, not historical tiaras or tiaras whose ownership is currently uncertain. Click on the title of the tiara to be taken to pages with fuller histories, large images, and much more information. Enjoy! 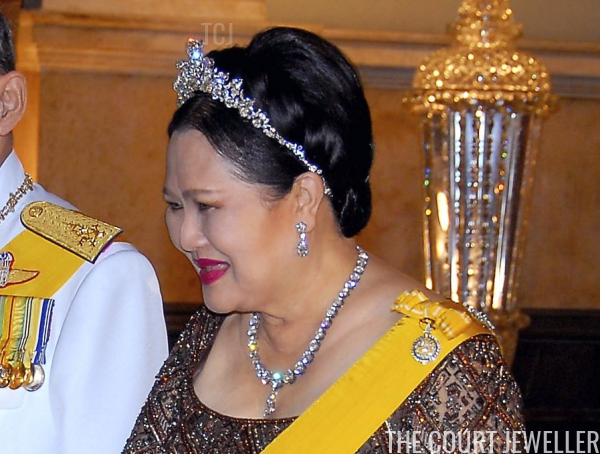 Queen Sirikit's Convertible Necklace Tiara: A modern tiara set with diamonds, some of which can be switched out with a set of sapphires, and able to be taken off its frame and worn as a necklace. Made by Van Cleef and Arpels in the 1960s. Worn by Queen Sirikit. 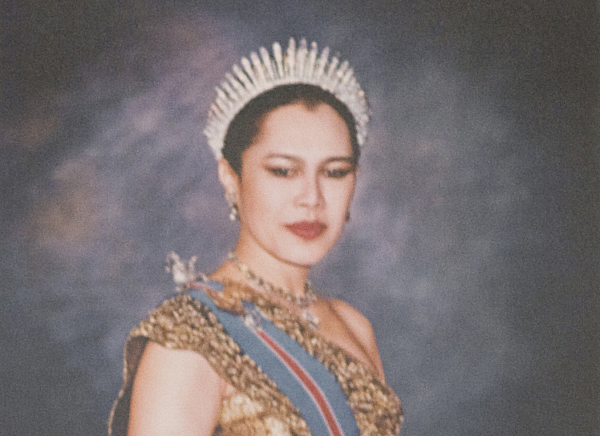 Queen Sirikit's Coronation Diadem: A traditional diadem in a floralesque design, made of gold and set with diamonds. Worn by Queen Sirikit during the coronation festivities of 1950. Queen Sirikit's Diamond Floral Tiara: A striking, large tiara featuring modern diamond floral designs. Worn by Queen Sirikit. 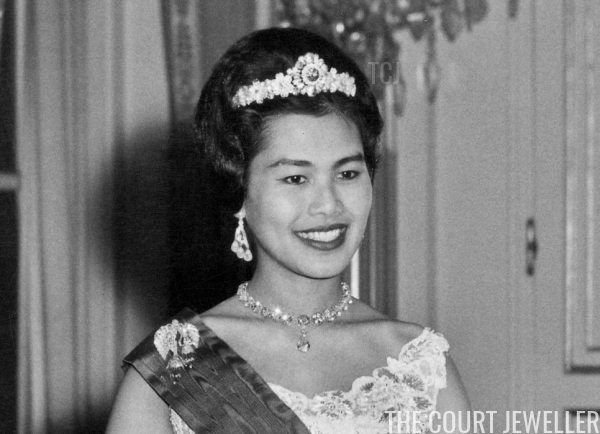 Queen Sirikit's Diamond Fringe Tiara: A classic diamond fringe tiara, featuring large diamond fringes interspersed with slender diamond spikes. Able to be worn in both open and coronet forms and also convertible for wear as a necklace. Perhaps owned by Queen Saovabha Bongsri, which would suggest a nineteenth-century creation date. 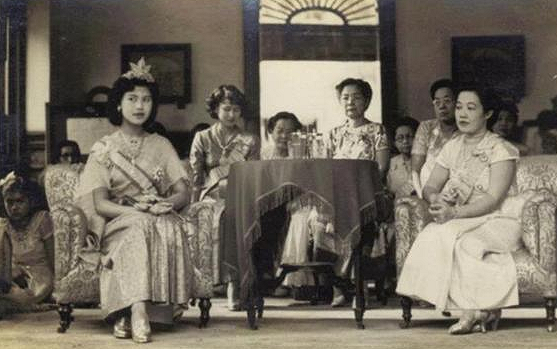 Subsequently worn by Queen Rambhai Barni, Princess Bejaratana, and Queen Sirikit. Queen Sirikit's Ruby Floral Bandeau: A twentieth-century bandeau-style tiara of flowers, featuring a large central blossom, able to be worn in both all-diamond and ruby-and-diamond settings. Worn by Queen Sirikit. 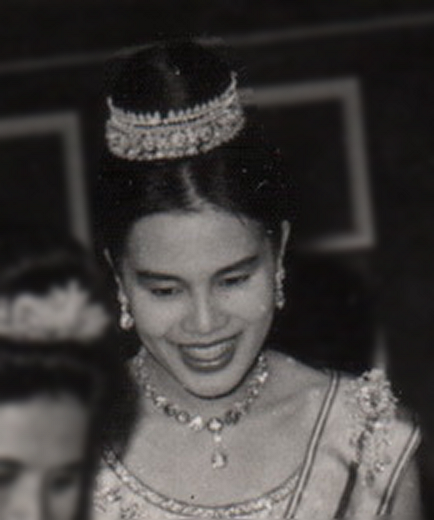 Queen Sirikit's Traditional Diamond Tiara: A traditional Thai diadem, set with diamonds, featuring a central floral section that is able to be removed and worn separately as a bandeau or a bracelet. Made by Van Cleef and Arpels. Worn by Queen Sirikit, Princess Bejaratana, and Princess Soamsawali.